HIKONE, SHIGA PREF. - The Oct. 22 general election turned out the way most news media predicted. The administration of Prime Minister Shinzo Abe retained a firm foothold as his Liberal Democratic Party and its coalition partner Komeito secured two-thirds of the Lower House. On Sept. 27, shortly before the snap election was officially called, Seiji Maehara, then president of the Democratic Party, proposed that his party effectively merge with Kibo no To (Party of Hope), which had been launched just two days earlier by Tokyo Gov. Yuriko Koike. The proposal was approved without much debate by the DP’s Diet members. Perhaps it should have been expected, but Koike said two days later her party would not accept all DP members. She went on to say that those who wished to run on her party’s ticket would have to sign a policy agreement endorsing the security legislation and amending the Constitution, including Article 9, and that those who refused would be rejected. It was totally puzzling that even though the DP staunchly opposed the security legislation when it was discussed and enacted by the Diet in 2015, a large majority of the Democrats running in the October race signed the policy accord without much hesitation, clearing the way for them to campaign as Kibo no To candidates. Those who did not seek to join Kibo no To or were denied endorsement either ran as an independent or ran on the ticket of the Constitutional Democratic Party of Japan (CDP), which was hurriedly organized by Yukio Edano — runner-up to Maehara in the DP leadership race in early September. Many of those who were rejected by Kibo no To claim to be liberals, and, therefore, could not have signed the accord as demanded by Koike if they followed their own political positions. Initially, the media fanned expectations that Kibo no To would pose a threat to the stability of the Abe administration. As the days passed after the campaign kicked off, however, it became increasingly clear that the new party was losing steam. In the end, Koike’s party won only 50 seats, seven less than its pre-election strength of 57, marking a resounding defeat. Kibo no To’s campaign pledges could be summarized as: (1) freezing the next consumption tax hike; (2) reducing the number of Diet seats and remuneration for its members; (3) promoting tax reform that encourages private-sector initiatives and scrapping government-run financial institutions and semi-governmental funds; (4) closing all nuclear power plants by 2030; (5) improving employment, education and welfare; (6) building a more diverse society; (7) revitalizing regional economies and beefing up international competitiveness of the agriculture sector; (8) amending the Constitution to clarify the legal status of the Self-Defense Forces and promoting decentralization of administrative power; and (9) beefing up crisis control measures in view of the severe security circumstances surrounding Japan. They differed from the LDP’s campaign platform in only three areas: phasing out of nuclear power, freezing the consumption tax hike and building a more diverse society. One look at these three points may give the false impression that Kibo no To pursued liberal-leaning policies. But the rest of its campaign platform was totally conservative, calling for market fundamentalism on economic issues and featuring a nationalistic political agenda. 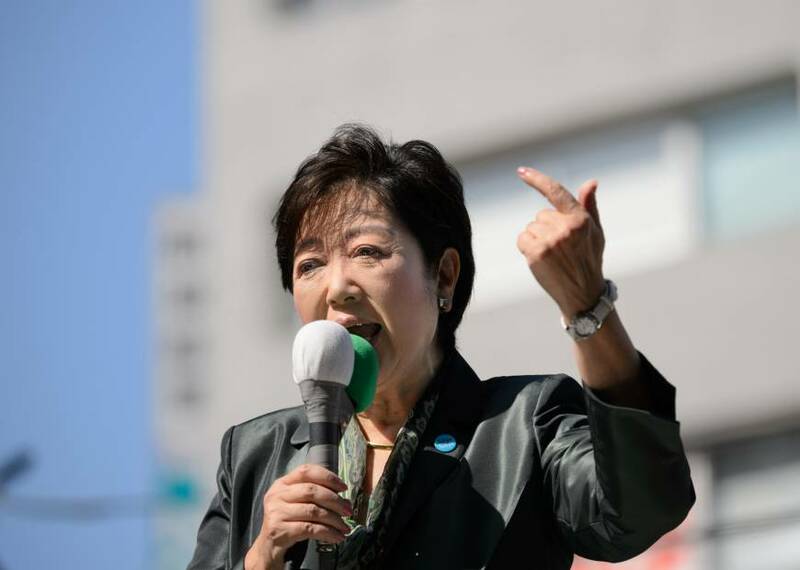 In this sense, Koike may be right when she described her party’s ideals as “reform-oriented conservatism.” Yet, the basic thoughts and principles of her party were not clearly visible in its campaign promises. All in all, the party gave the impression of pursing a right-leaning populism. When the Democratic Party of Japan won the 2009 general election and chased the LDP from power, I welcomed the situation as a harbinger to Japan entering at long last into a two-party system — one force conservative and the other liberal — as is the case in many European and North American countries. Indeed, the DPJ manifesto in the 2009 election was filled with liberal-leaning ideals. Yukio Hatoyama, the first prime minister in the DPJ-led government, pursued many liberal-leaning policies. Regrettably, however, he stepped down after only nine months without translating any of the ideas in the manifesto into action — after the blunders he committed over pending relocation of the U.S. Marine Corps Air Station Futenma in Okinawa proved fatal to his administration. Hatoyama was succeeded by Naoto Kan and then Yoshihiko Noda as the DPJ remained in power three years and three months, until the party lost badly in the December 2012 election. In the process, the DPJ gradually lost its liberal colors, making it difficult to distinguish it from the conservative-oriented LDP. The DPJ, which renamed itself the Democratic Party in 2016, had from the outset a relatively large number of lawmakers sympathetic to LDP policies on national security and constitutional revision. Maehara was one of them. So, when he proposed that the DP merge with Kibo no To, they welcomed the idea, firmly believing that Koike’s party would become a major force that could stand up to the LDP, as did the news media. Of the 45 former DP lawmakers who ran on the Kibo no To ticket, however, only 26 were re-elected to the Lower House. In contrast, all 15 who ran from the CDP won their races in single-seat constituencies, and the party went on to secure 55 seats combined with those gained in the proportional representation segment. Of the 21 who ran as an independent, 18 were re-elected. Among voters who supported the DP, 55 percent of them are said to have cast their votes for the CDP, while a mere 19 percent of them chose to vote for Kibo no To. There are two key reasons why Kibo no suffered such a disastrous election defeat. First, with regard to national security and amending the Constitution, Kibo no To followed a path identical to that of the LDP. While calling for phasing out nuclear power, the party failed to spell out any concrete energy policy. It advocated freezing the consumption tax but did not offer ideas on fiscal resources to beef up education and welfare. In that sense, most of what it promised was a collection of hurriedly assembled and half-baked policy promises. In short, Kibo no To came off as nothing but a right-wing populist party that looked similar to but was indeed different from the LDP. Second, Koike’s expulsion of the DP’s liberal wing led to the unintended consequence of helping the CDP establish a foothold as a genuine liberal force by breaking away from the DP’s conservative ranks. 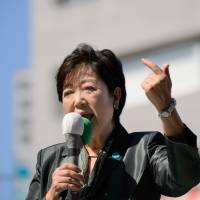 Koike may have intended to exclude the DP’s liberal-leaning ranks from her party but in fact provided an opportunity for the DP’s liberal wing to make a fresh start by excluding their conservative colleagues. It is my hope that a political regime of two major parties competing for power — the conservative LDP on one hand and the liberal-leaning CDP on the other — will develop and take hold in this country, so that the seeds sowed by Koike will result in the blossoming of an unintended flower. In Japan, where a two-party regime has yet to be established, the chances for a right-wing populist force to make big strides — as they have in France and Germany — are still premature.